Mark Nancarrow is the Official Bozza – Thank you for Answering the Call! Jul 19 • General News, International, Springboks • 765 Views • No Comments on Mark Nancarrow is the Official Bozza – Thank you for Answering the Call! One of the best job vacancies in the world has been filled! 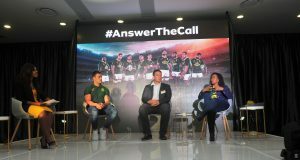 MTN and the Springboks called, and the nation answered by choosing Mark Nancarrow to be their Official Bozza – the exclusive “social eyes and ears” of South Africa’s rugby nation for the upcoming Castle Lager Rugby Championship in August 2018 until the 2019 World Cup in Japan. MTN in collaboration with SA Rugby launched a mission in May 2018 – a quest to find the perfect person to follow our beloved Springbok rugby team around the world. The MTN Call-Up produced three finalists, who showcased their social media skills during the Springboks incoming tour last month: Quinton Janse van Rensburg, Mark Nancarrow and Ndabenhle “Bench” Zondi, who were allowed the same opportunities and access, to showcase their Bozza skills in the days leading up to each test match. This meant access to the team during pre-game activities, such as signing sessions and jersey giveaways, breakfast with Coach Rassie Erasmus, team announcements, training sessions as well as exclusive locker room experiences led by legends: John Smit, Os Du Randt and Corné Krige before each test match. 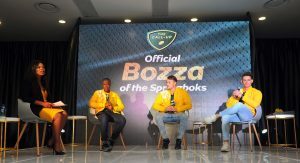 The public voted by watching highlights videos of each finalist and assisted MTN to decide who of the three was worthy of the title of the Official Bozza. Superior quality and speed are the hallmarks of MTNs award-winning network, with MTN continuously striving to refine quality and improve user experiences. “We want to make connecting better and easier and e look forward to seeing what Mark does with this opportunity to showcase our network and thank SA Rugby and the Springboks for answering the call by allowing us this kind of exclusive access,” added Bodibe. The George-based 23-year old recently graduated from Rhodes University with a degree in Politics and Journalism and is known for spending his days thinking and researching rugby. Nancarrow had the opportunity to showcase his skills at the exciting second test match in Bloemfontein on Youth Day where the Springboks clinched the series with a phenomenal 23 – 12 victory over England. 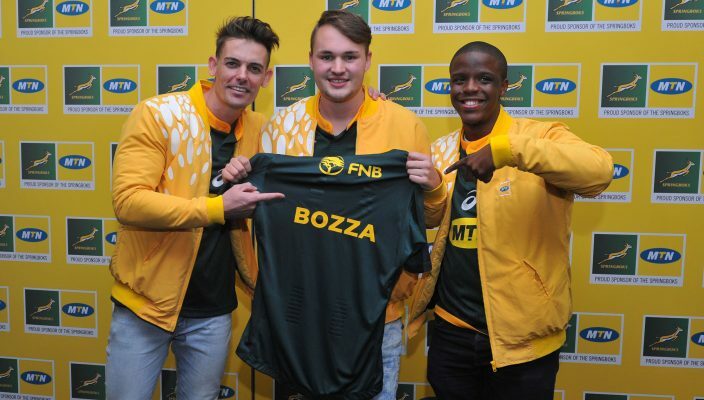 Nancarrow is now the “Bozza” of the team – thanks to MTN, proud Official Team Sponsor of the Springboks, who will cover all costs – valued at R2million – to make sure that “Bozza” is always in the front row seat wherever the Springboks play. 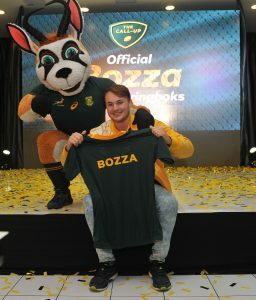 Follow @Official_Bozza on all social platforms and let MTN bring you closer to the Boks #AnswerTheCall. Finalist – Pretoria based Quinton Janse van Rensburg, a Tshwane University of Technology Marketing graduate and the owner of Quin Media, an event videography company he founded. Finalist – Durban based Ndabenhle ‘Bench’ Zondi, as he’s known by his peers, a third-year student at the University of KwaZulu-Natal majoring in Business and Economics and got his nickname from spending his brief career playing high school Rugby on the bench.